Crane Chinatown features 150 residential units, retail, office space and a community center. Leasing starts April 2019. Throughout the history of Philadelphia’s Chinatown, there has never been a physical space designated for community gathering, activities, or recreation. Ten years ago when Philadelphia Chinatown Development Corporation (PCDC) began our move north of the Chinatown Core and envisioned a community center at the corner of 10th and Vine Streets. 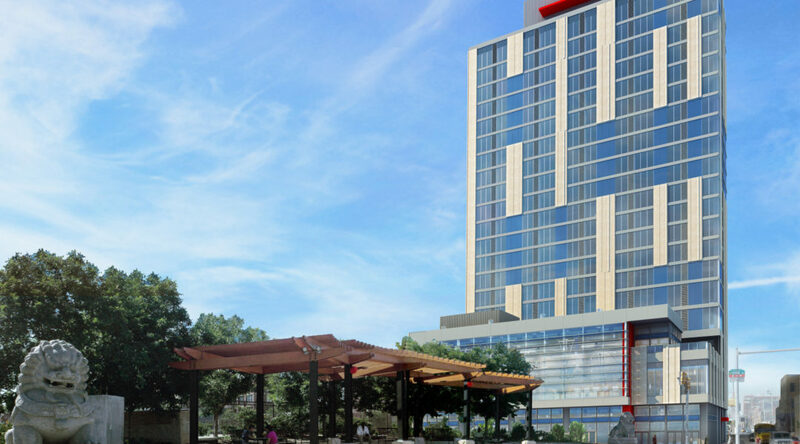 This vision became reality in Octobor 2017 when PCDC broke ground on Crane Chinatown (formerly Eastern Tower), a $75 million dollar project, co-developed by the PCDC, JNA Capital, Inc. and represented by a team led by Art Momjian of Duane Morris. It is the largest project in terms of scope and budget to be built in Chinatown. Crane is designed to address the recreation, housing and services needs of a growing community of both residents and Asian immigrants from the Philadelphia region. 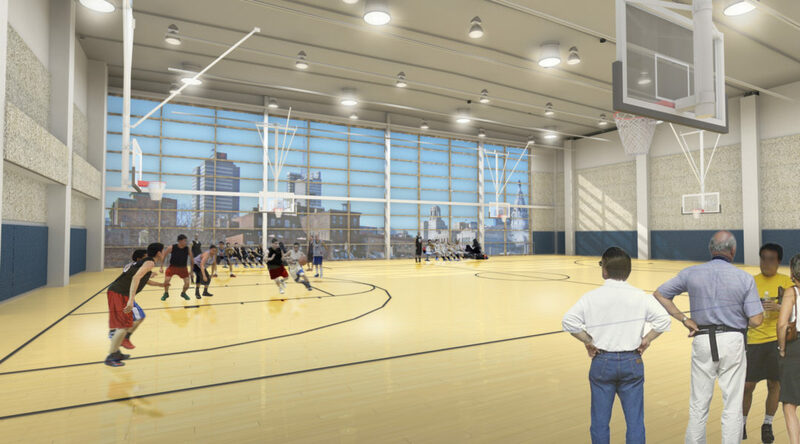 The 195,000 SF building is programmed to include a 17,000 SF community center with a state-of-the-art basketball court and multi-purpose gym, 30,000 SF of retail/commercial space, and 150 housing units. The project will unite Chinatown across the Vine Street Expressway, which has bisected the community for decades, and drive 10th Street commercial corridor growth and investment into Chinatown North. Chinatown Learning Center, a bilingual, Keystone 4 STAR preschool will offer on site day care. The first floor will feature restaurant and retail space. PCDC, in partnership with local developer JNA Capital, began development in 2011 with a vision of Chinatown’s own recreation center. A uniquely grassroots-driven capital campaign garnered over $8M in public and philanthropic funds and significant community support. 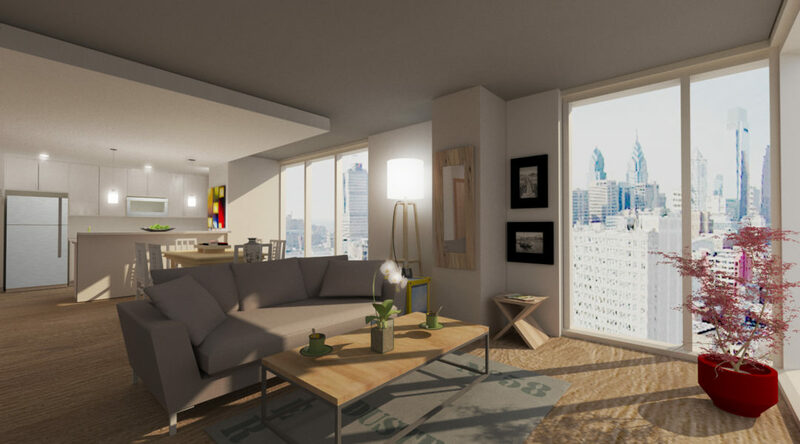 Supporters comprised a diverse array of private investors from the Asian community in the Philadelphia area, NJ and NY, a local CDFI, and created a model for inclusive growth in Center City Philadelphia. 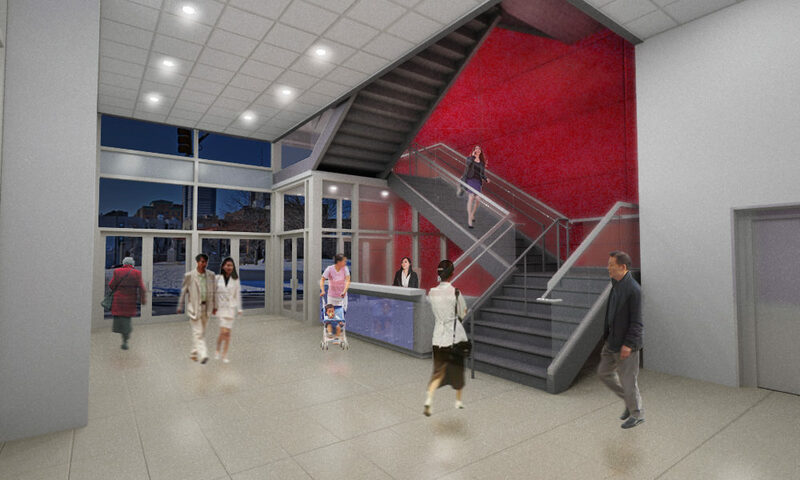 PCDC and JNA Capital assembled a creative capital structure to bring this project to fruition. Key players include the Commonwealth Cornerstone Group (CCG); Goldman Sachs Urban Investment Group; JNA Capital, Inc.; 5-Stone Green Capital; Citizens Bank of Pennsylvania; Parke Bank; Global City Regional Center, LLC (GCRC); the Commonwealth of Pennsylvania; the City of Philadelphia Commerce Department; Asian Bank; and the Beech Capital Venture Corporation. “This project represents the best of non-profit and for-profit collaboration and a team-oriented solution to complex urban development project with an express community development objective,” said Ahsan Nasratullah, President of JNA Capital and GCRC. “We look forward to working with our great friends, our great civic leaders in Chinatown to do the next project,” said State Representative Michael O’Brien.